You must make reservations at least 5 minutes in advance of the time at Cafe Zola. There are many locations to park nearby. Metered parking is available on the streets surrounding Cafe Zola. Parking is free on Sundays. The closest public lots are on West Washington between 4th Street and Main Street and on the corner of Ashley and West Washington. Café Zola is an independently owned and operated restaurant serving breakfast, lunch, and dinner in downtown Ann Arbor. Our menus are inspired by flavors and recipes borrowed from European and Mediterranean cultures and cuisine, including some Turkish recipes. We are committed to sourcing the freshest and highest quality ingredients available and supporting local businesses, farms, and suppliers. Café Zola’s seasonal menus emphasize organic and local produce, dairy, eggs, poultry, meat and seafood. Our full service bar features artisanal cocktails, happy hour specials, and a rotating wine selection chosen from various small production vineyards throughout the world. Reservations move you to the top of the list. You may still wait 10-30 minutes. We may use more than one table for large groups. If you are interested in a reservation for a large group or special event, please contact us directly. Very nice server and food was delicious and restaurant was not too loud! Easter Sunday Brunch at Zola's was wonderful. Nine of us gathered for brunch. We made reservations and walked in right on time as if we owned the place. Other than the noise factor, everthing else was terrific. tight space for bigger parties, but awesome and expansive brunch menu that pleased all levels of the diet preferences in our group. Friendly waitstaff, generous portions, delicious food. Wonderful Italian comfort food, top notch attentive yet discreet service! 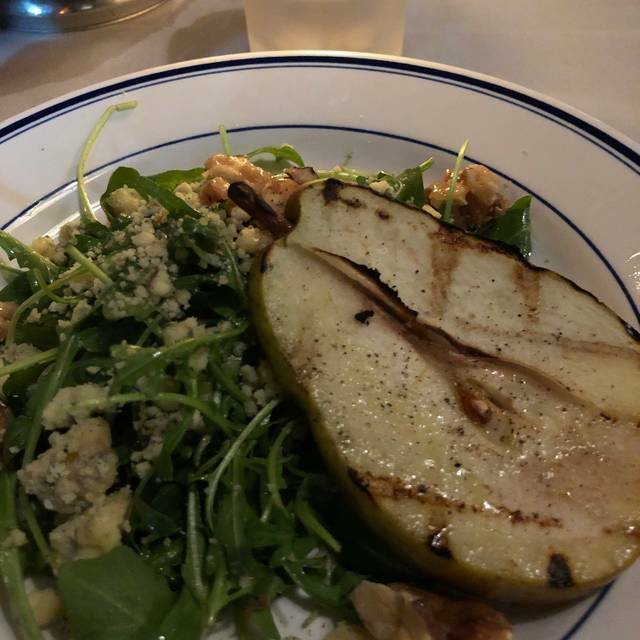 I had a very disappointing experience at Cafe Zola. The restaurant was extremely hot and uncomfortable, and when we asked the hostess to open the door to let some air in, she obliged, but said that the owner keeps the place hot because she thinks people will order more drinks. Moreover, while several of our meals came out on time, and were good, two members of our party did not receive their meals until more than 40 minutes after the rest of us had. Another person's side dish took over an hour, and was not made correctly when it arrived. While the waitress was apologetic, the manager would barely listen to our complaint and she did not take either of the two delayed meals off of the bill -- or even apologize. I enjoyed my salad, but not enough to overcome the whole experience. I will not be going back. The food was excellent, the octopus appetizer and the short ribs dinner in particular. The service was well done but the noise was really bothersome. Service is excellent and very accommodating of business lunch schedules. The food came out quickly and every order in my large party was perfectly done. I was hosting an important business lunch and everything exceeded my expectations! Thank you Cafe Zola for your attention to detail. Service was good, food was just ok for the price. Made a reservation and arrived with our party of 6 five minutes early. We checked in but were not seated until 25 minutes later than our reservation. This would have been easier if the space to wait in was more convenient but we were in the middle of traffic, service. Once seated, All was great in the world- the server, the food and the company. The food and ambiance were amazing. Our server was disinterested and seemed annoyed that she was training another server (the trainee was great). NOTE: beware of the reservation system for Cafe Zola, as it does not ensure your table will be ready at the time you reserved; a reservation just puts you at the beginning of the line for a table. They seem a bit overwhelmed by their success and are not handling the demand well in terms of service and managing the reservation system. I was floored when I saw a ham and cheese omelette cost me $18.50. It would be one thing if this was NYC, but come on, people. We’re in Michigan. I’m hoping Gigi charged me wrong. Food and service were good, but I felt very ripped off. Amazing place for a girls night out! Quite enough to hear each other gossip over a nice glass of Prosecco with great food choices!!! Had an early reservation arrived to an almost empty restaurant and was seated in the rear near the restroom. Asked to move and waited so long we just sat down. Food was so so and our server kept asking how much we liked everything. Annoying. Timing of our food was not good, we were sharing plates and food should have been staggered. I have enjoyed past visits tonight will certainly keep me away for awhile. We have been eating at Cafe Zola since it opened. This was the best meal, service and sound level we have ever experienced. The mussels verde were perfectly seasoned, flavorful without too much of anyone component (in the past it was not as well balanced). The tuna was excellent as usual but it was the sable special of the night that was extraordinary. Perfectly cooked (sable must be glistening and silky!) and well seasoned. The noise was not as bad as usual probably because the U of M break left the restaurant only about three quarters full. The service was better than usual as well. All in all the best evening we have had at Zola's ever! 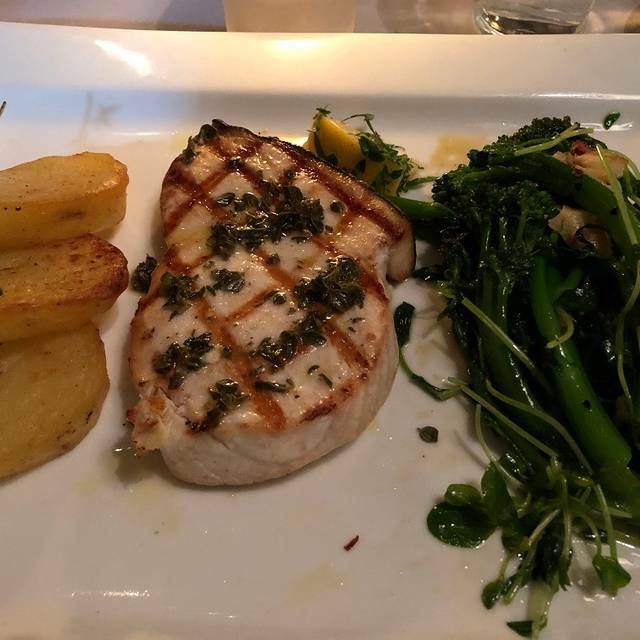 I have been to Cafe Zola several times both for celebrations and for more casual dinning and have always had fabulous food, great service and a truly fabulous experience. It is pricey, but worth the treat. I would highly recommend it! The service was excellent. Everyone from the hostess to the waiter was friendly, warm, and accomodating. The food was plentiful and outstanding. I will definitely go back when I am in town. Food and service was great noise level a bit high but seems normal in today's world. We love Zola! It was very tasty the food. I really enjoyed the crepes! I love the cute little down town area it's in. Also,they handled my allergies very well. Lastly, the server was kinda and extremely friendly. A lot of yelp reviews for Cafe Zola bash on the service, which is in direct conflict with my experience! The service was amazing, as was the food! All smiles. Valentine’s Day. Food tasted great, servers did their best to accommodate the busy night. But a big complaint of mine is, please don’t jam as many tables as possible into a space. Servers had to walk in between a small gap between two tables (one was mine, unfortunately). I know it’s their best interest to pack the house but consider the customer’s dining experience. On a trip and just randomly selected and it was an excellent choice. I wanted to love this place. Charming. Nice art and nice music. Great menu. Service was slow and nonchalant. Food was bland and expensive for what it was. Restaurant was very loud which made conversation annoying. Not a pleasant experience overall. Won’t go back. Great place! Enjoyed all the food from the anti pasta to the crepe brûlée. Our food liaison Bonnie was especially pleasant and made the night memorable! Would recommend heartily. Went for a birthday dinner, don’t plan to return. We had to wait an additional 40 minutes after our reservation time to be seated. No one on the staff ever apologized for the extended delay or thanked us for waiting. While we waited we received glares and sighs from wait staff for being in their way, but there was limited space in the front of the restaurant and no where else to go. Service was extremely slow, even after the restaurant emptied out and we were one of a handful of tables. It was my birthday celebration, and I found out later that when my friends tried to discreetly tell our waiter it was my birthday, he challenged them and wanted to see my ID. He did relent when my friends affirmed it was my celebration and said they wanted it to be a surprise. Probably the least pleasant dining experience I’ve had, which is unfortunate because the decor and extensive menu options were great. Eclectic DELICIOUS cuisine nicely plated - great service too! Food is good (which is the case in most downtown Ann Arbor restaurants). Service is hit or miss. During the previous visit the service was great. Last time it was painfully slow -- we needed 1 minute to decide, the waitress disappeared for 15 minutes and throughout the dinner she was totally oblivious to the fact that we wanted to get out in 2 hours. It was great! My friends and I normally do brunch here as our special thing, and Cafe Zola never disappoints! The food was great as usual. Service a bit slower than usual. The experience was not memorable overall because we were seated at a table that got a blast of 10F winter gusts every the door to the restaurant opened. The wait staff should know better than to seat diners at certain tables in winter, especially when other tables were available. The entire dinner was delicious. We had the flat iron steak and the swordfish. And the brioche pudding for dessert. The shining star of the evening was the cauliflower starter. So yummy! All in all, a nice special-breakfast or special-lunch venue. Fresh! Fresh! Fresh! Wonderful people. We visited the restaurant during restaurant week. The selection of shared dishes and entrees is extensive. The food was very good, but not up to its usual excellent standards. A friend and I were there for AA Restaurant Week. Lunch selections were numerous, many involving egg dishes. Food was very flavorful and very nicely presented. Our server was very friendly and responsive. There were a few mistakes which could have been avoided by informing us or asking questions beforehand. Nothing huge, just a little unnecessary confusion. Generally, an enjoyable dining experience..